Young cattle yardings are building. This week Eastern Young Cattle Indicator (EYCI) yardings hit an 8 month high, and prices reacted accordingly, drifting lower, and heading back towards the low set in the spring. Figure 1 shows EYCI yardings hitting 22,218 head on Thursday, up 6,312 head for the week. It was the highest EYCI yarding since May last year, and only the second time it’s been above 20,000 head in that time. The major culprits causing the higher yarding were the EYCI’s biggest yards. 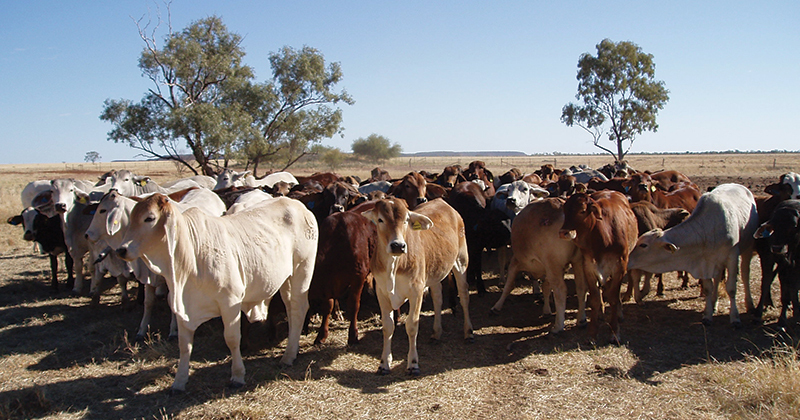 The Roma store sale had 284% more cattle yarded, Dalby was up 50%, Wagga 41% and Dubbo 52%. These 4 yards contributed 50% of the EYCI cattle this week, and all except Dubbo saw price falls. Roma was the biggest, losing 39¢/kg cwt as its premium fell to just 4¢ over the general EYCI. With prices at the biggest yard falling so dramatically, it’s little wonder the EYCI hit a four month low of 524¢/kg cwt (figure 2). The downward trend in prices is a little concerning, but it tends to reflect the lack of rain over a lot of NSW cattle country this summer. Export markets should have provided some support this week. The 90CL prices in US terms were up 4.5¢ as wet weather in NZ of all place is expected to dampen trim supply. The 90CL indicator in our terms was up 25¢, moving back to 600¢/kg swt for the first time this year (figure 3). The cyclone forming off the Kimberly could provide a bit of precipitation for some key cattle areas next week, but it doesn’t look widespread enough to cause a serious rally. Probably more consolidation and maybe a return to recent levels.